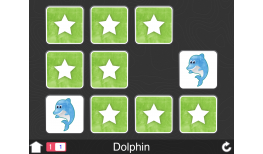 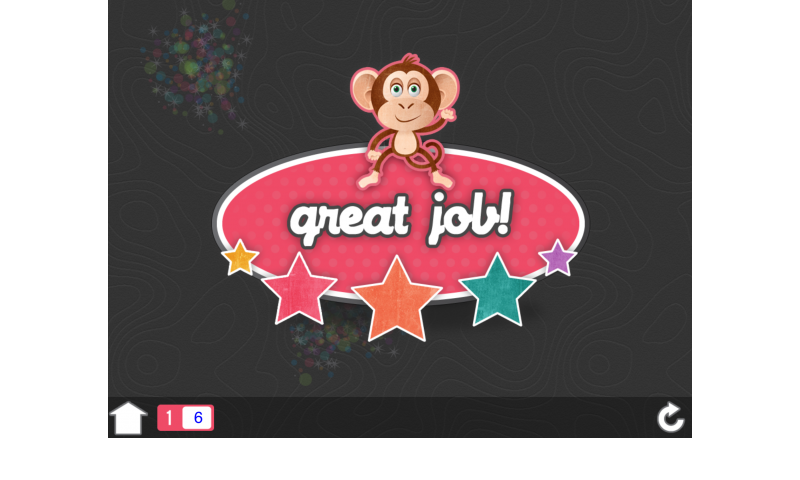 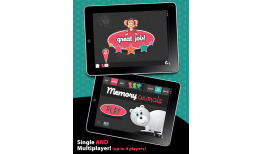 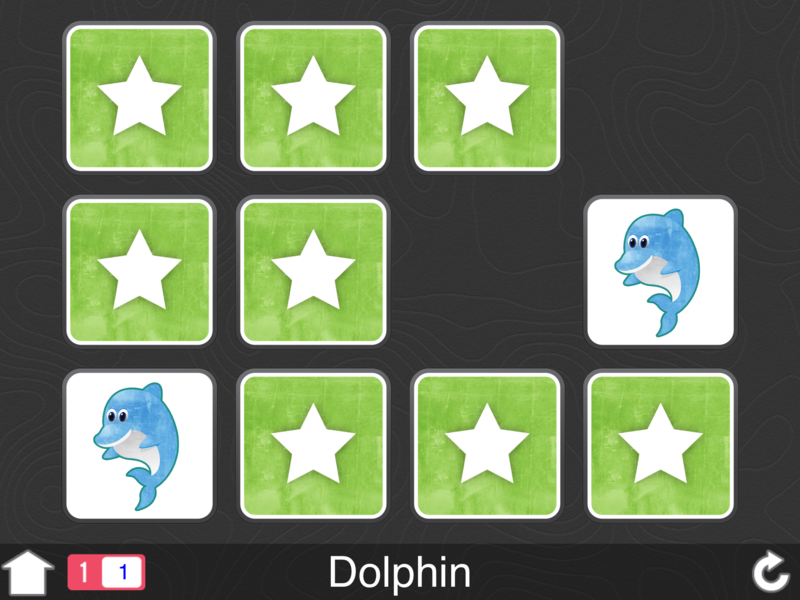 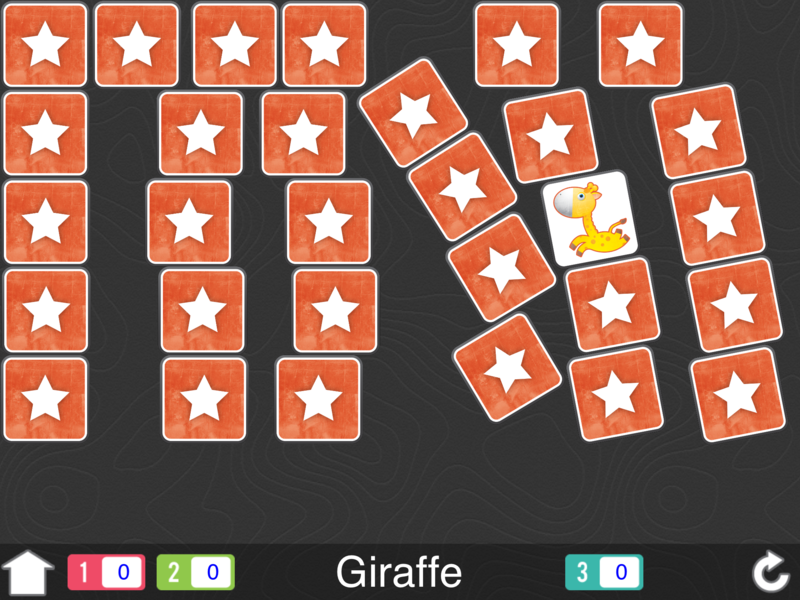 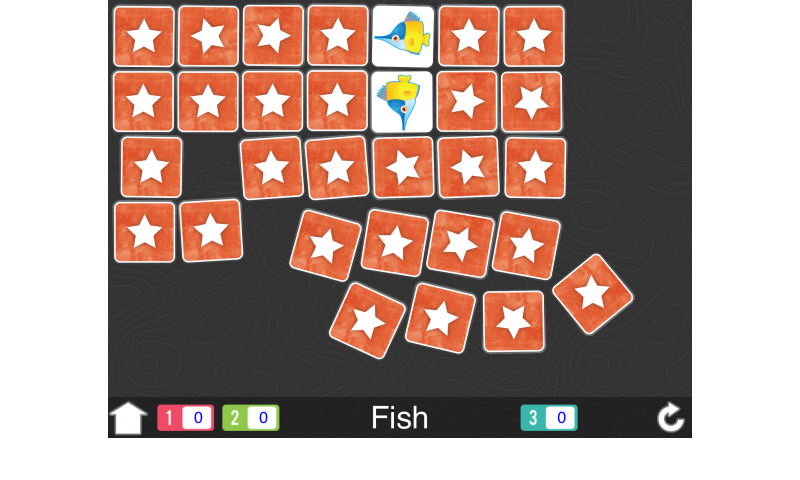 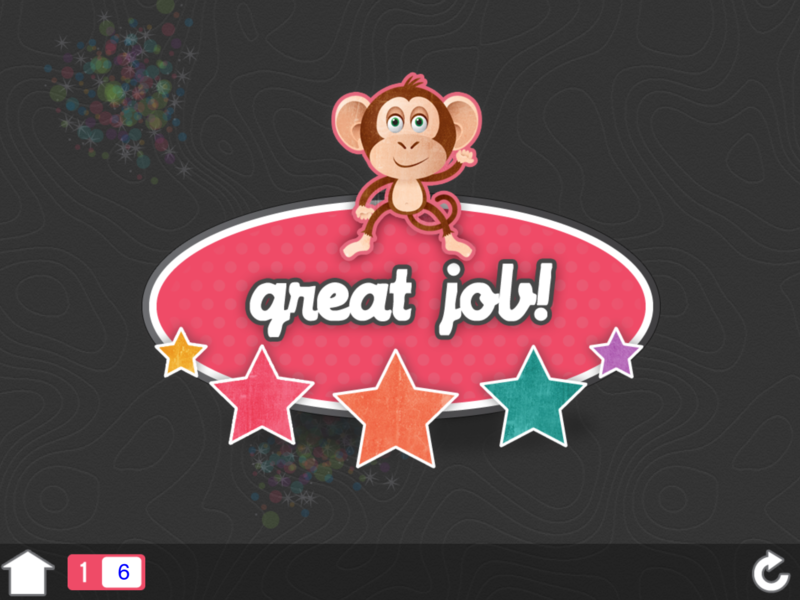 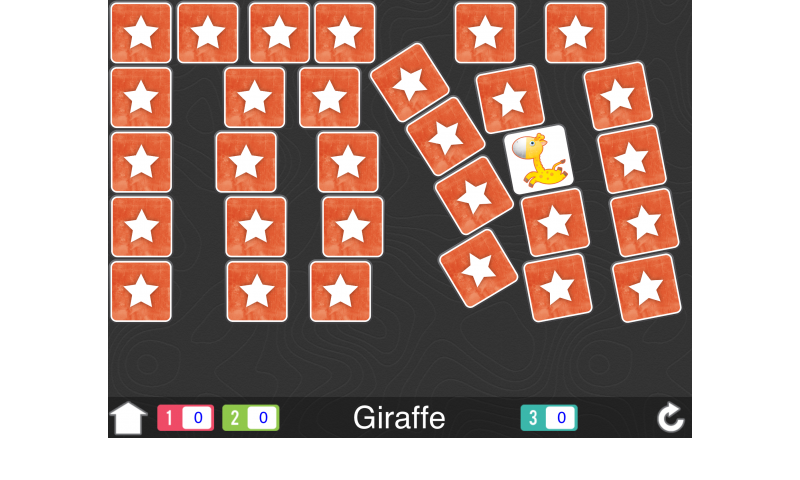 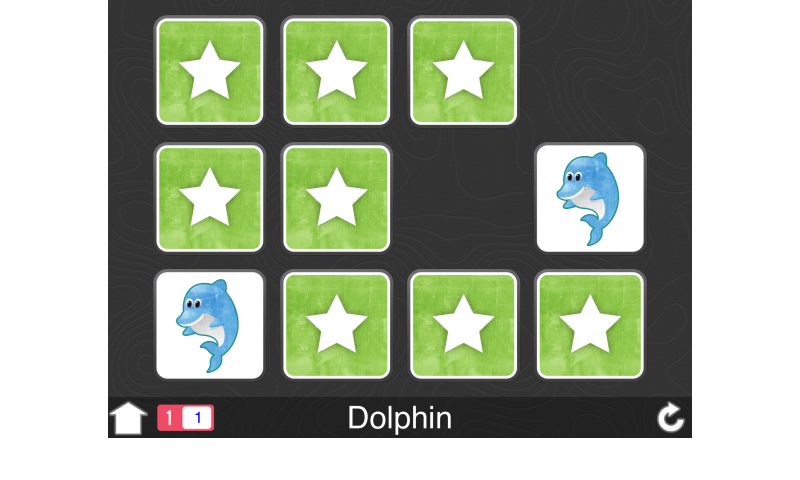 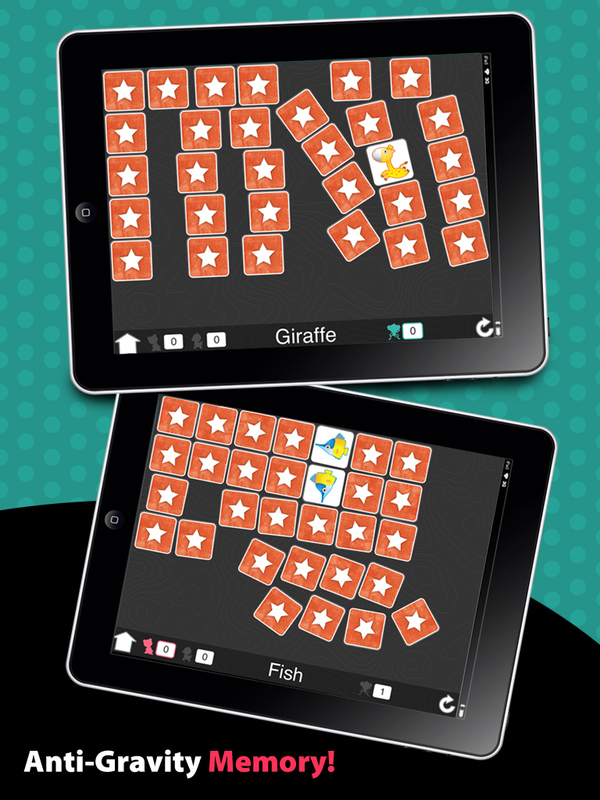 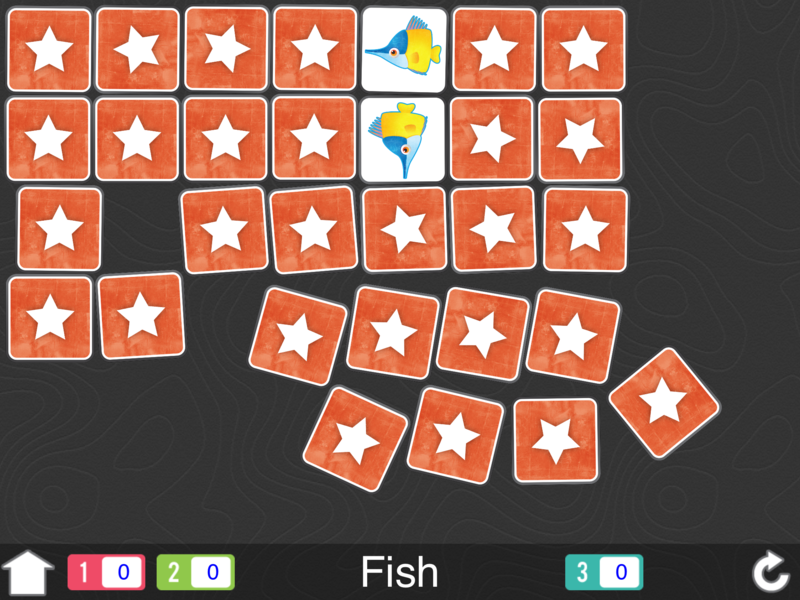 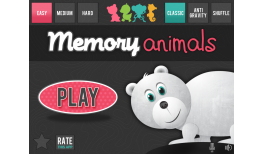 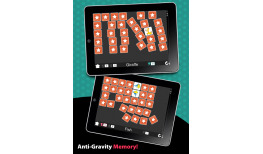 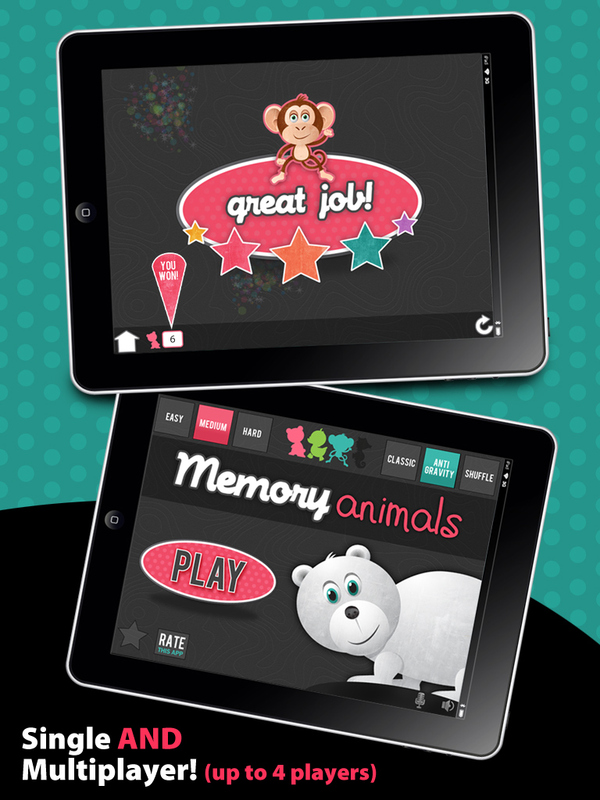 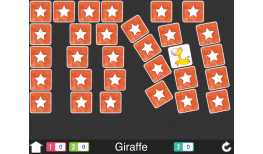 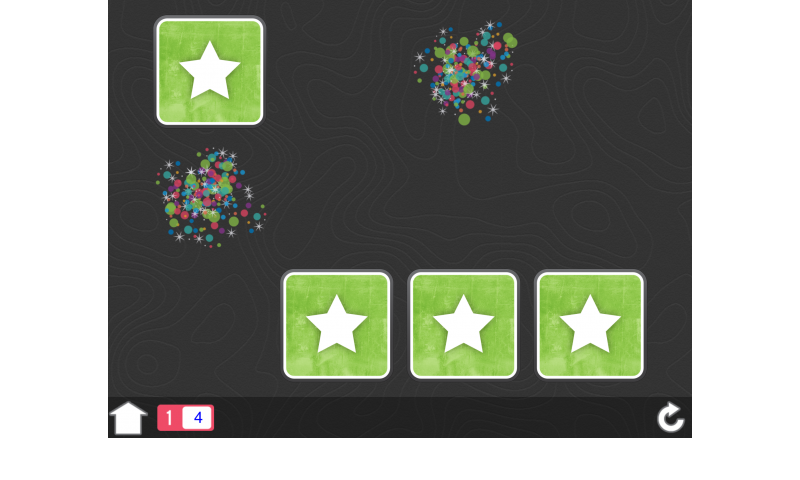 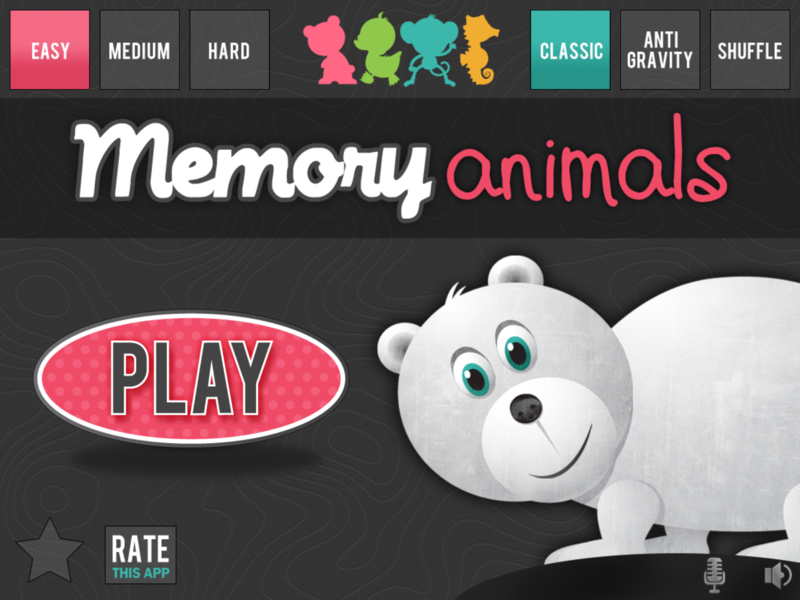 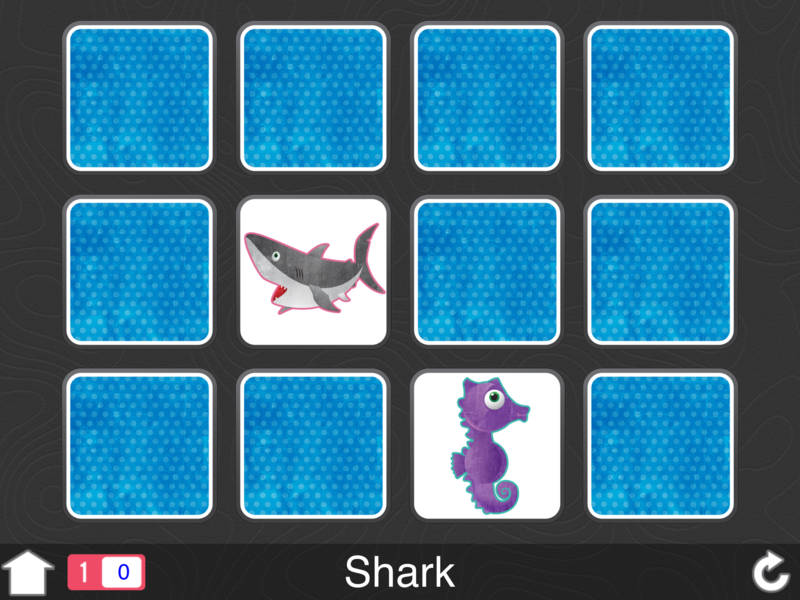 Memory Animals by Learning Gems takes on a whole new twist to the classic “memory” game. 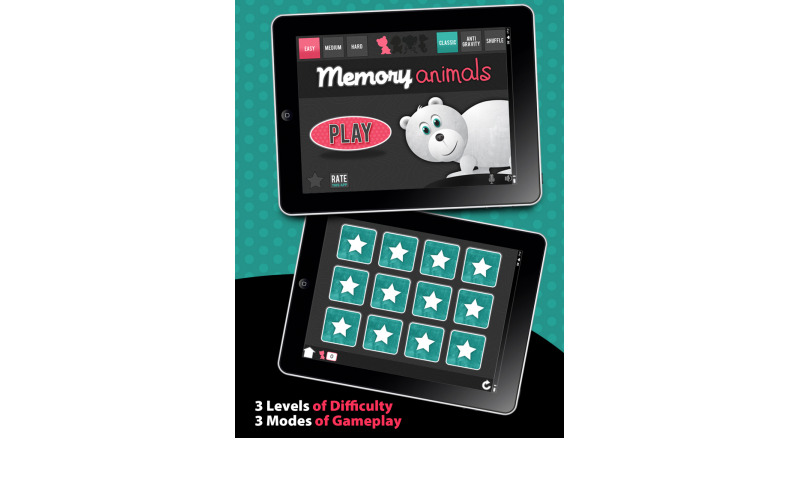 The memory cards in the app have cute and colorful animals which are ideal for capturing the attention of young children and keeping them engaged and entertained as they work on the cognitive skills. 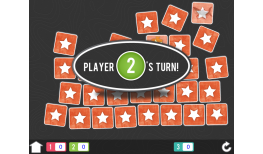 There are three levels of game play for difficulty easy, medium, and hard. 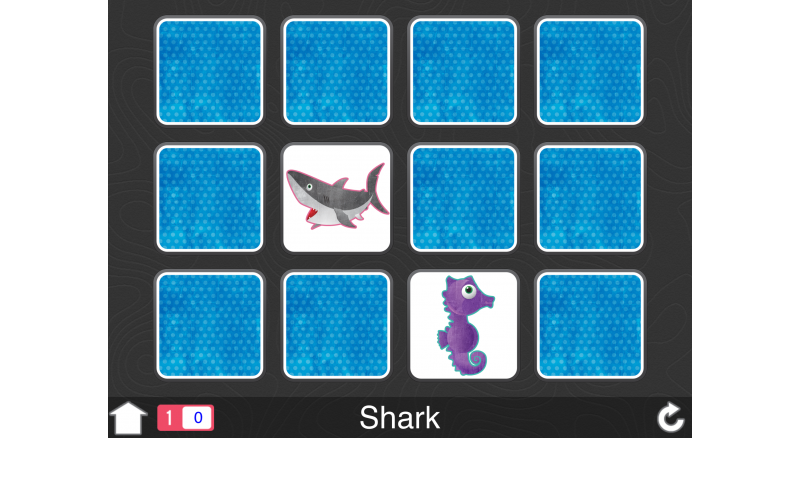 But what makes the game really unique is that there are also three modes of play. 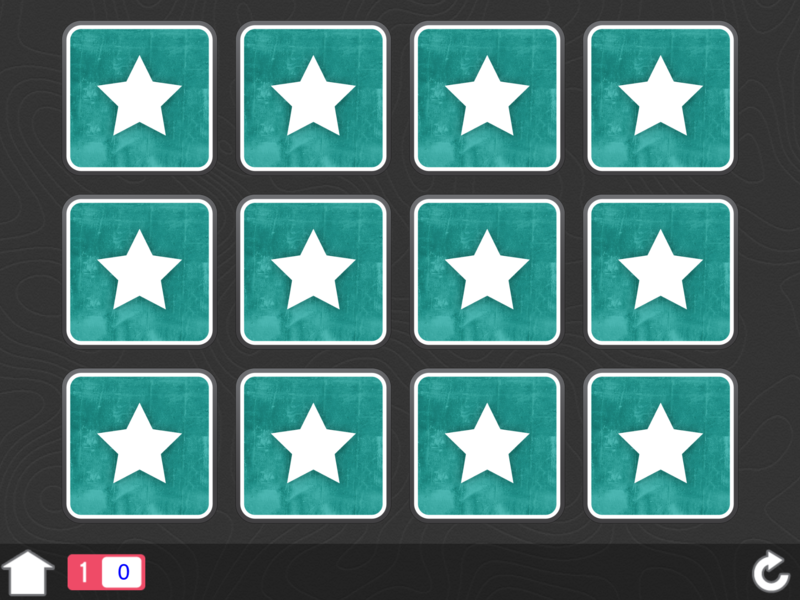 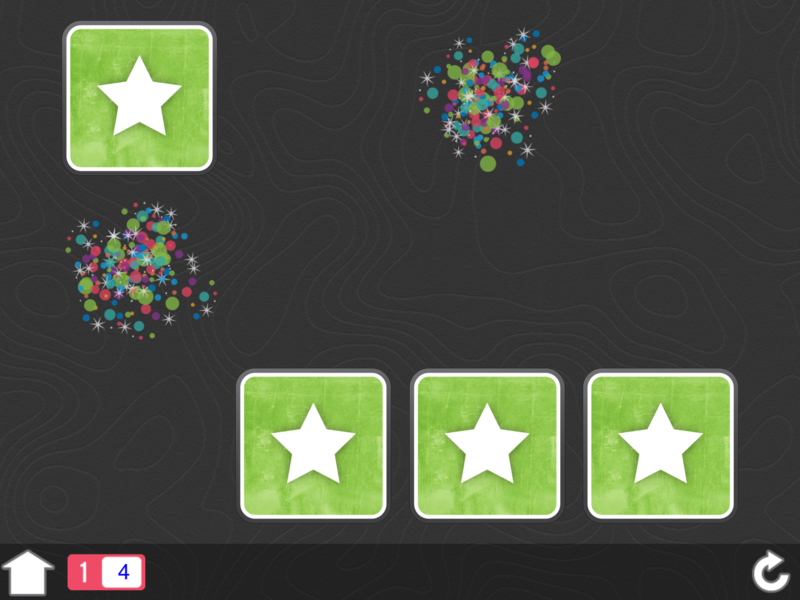 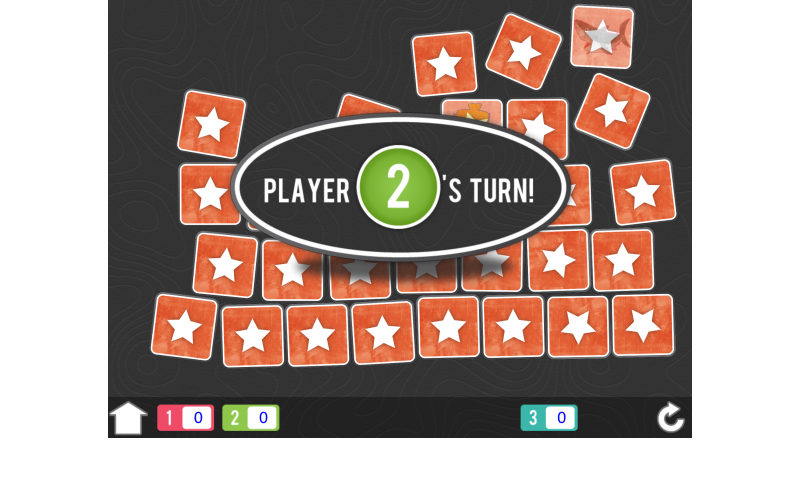 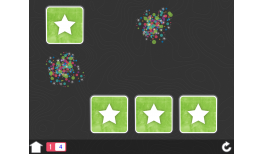 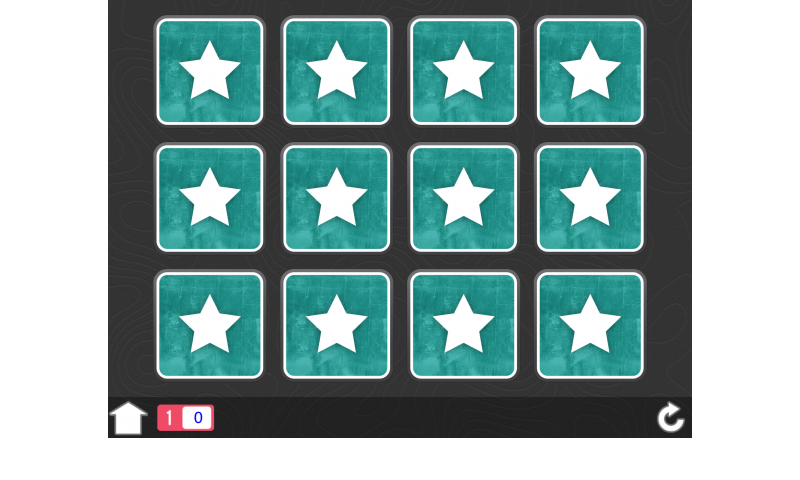 In classic mode, it is a traditional style of a memory game where you flip two cards at a time and try to make a match. 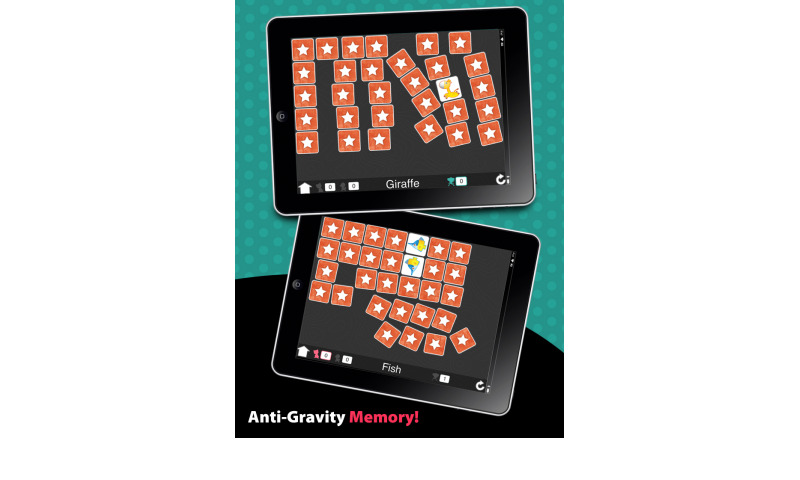 In anti-gravity mode, the entire deck of cards will slowly shift throughout the screen as you try to make your matches. 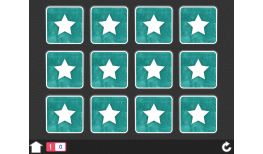 This makes keeping track of the cards that you have already flipped over even more challenging. 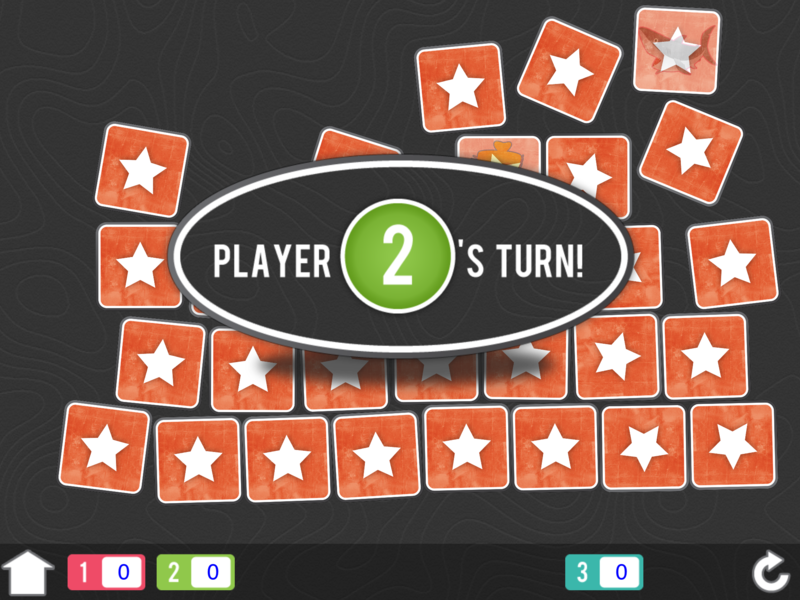 In Shuffle mode, the cards will shuffle in a burst of movement. 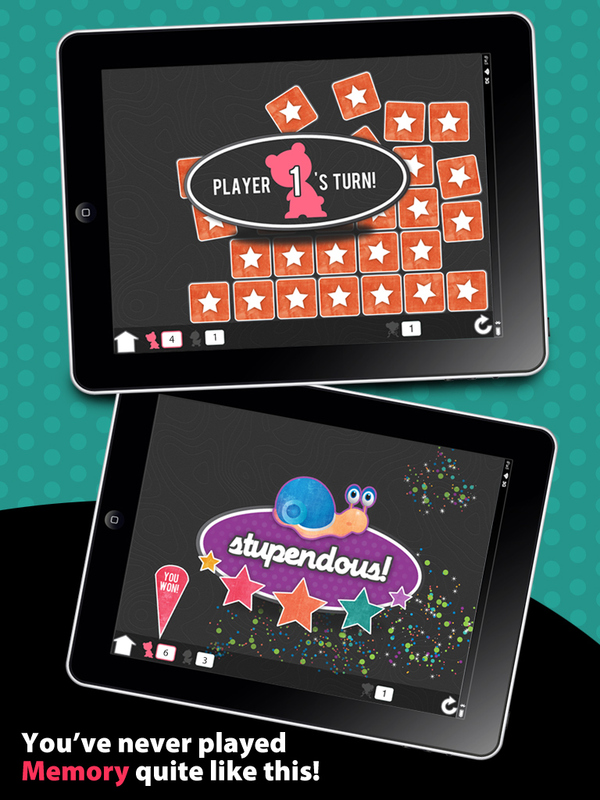 The cards scatter and shuffle gradually slowing down until you make your next match. 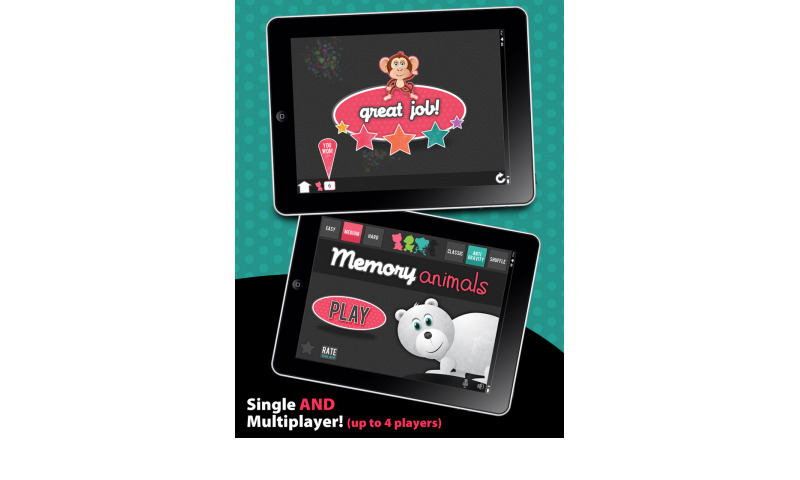 Multi-player capabilities. 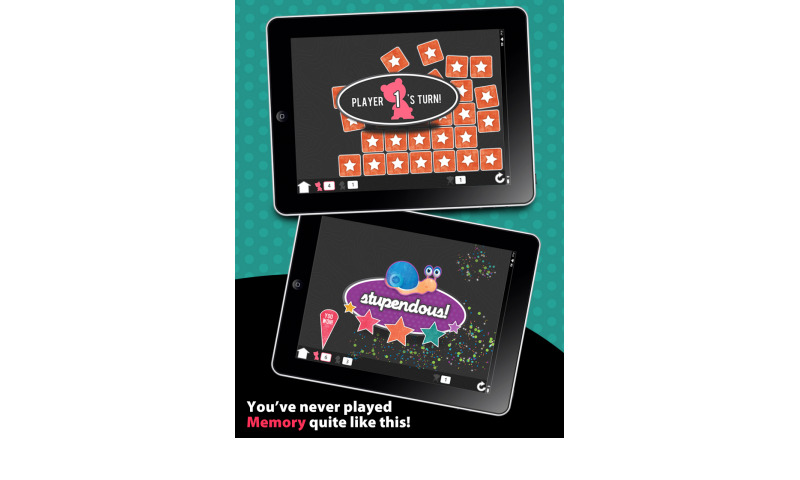 Learning Gems Memory will allow for up to four players to play at a time. 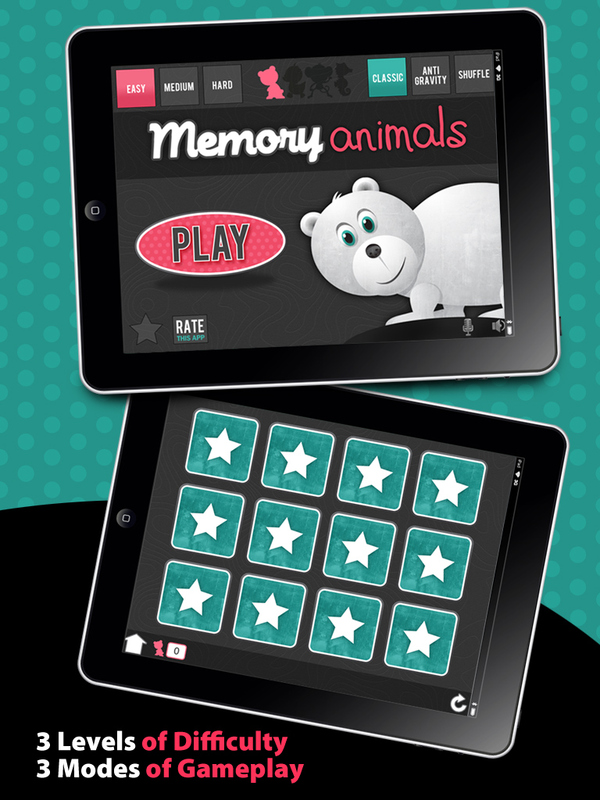 Challenge your family and friends to a game of memory. 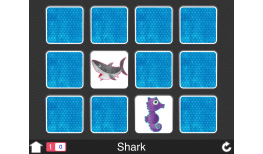 Audio and visual animal cues happen when the card is flipped. 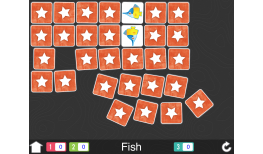 Each card flipped will show the image of the animal, the printed name of the animal and an auditory cue. 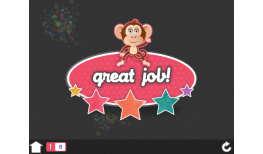 Option available to mute the audio cues. 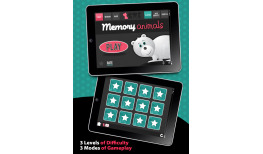 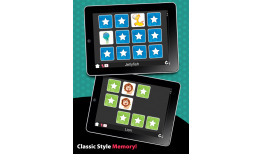 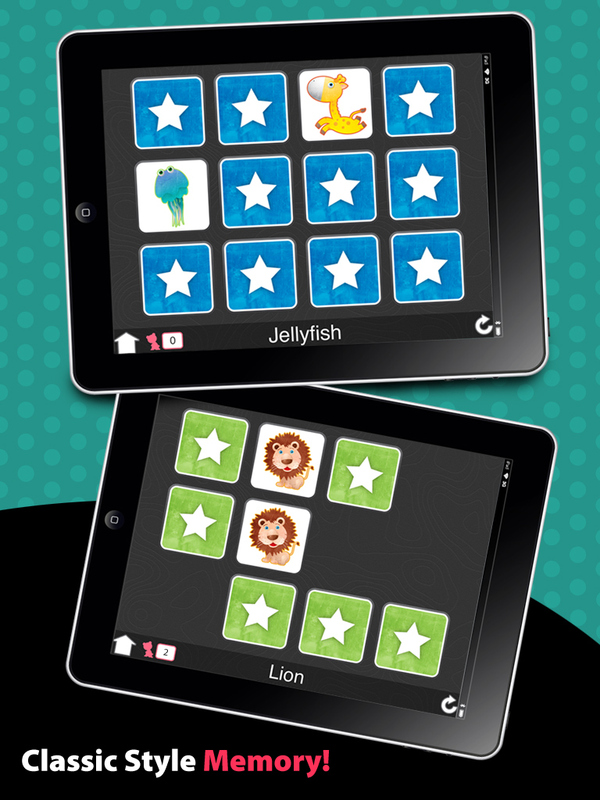 Ideal for improving memory and developing cognitive learning skills for young children and reinforcing them in adults. 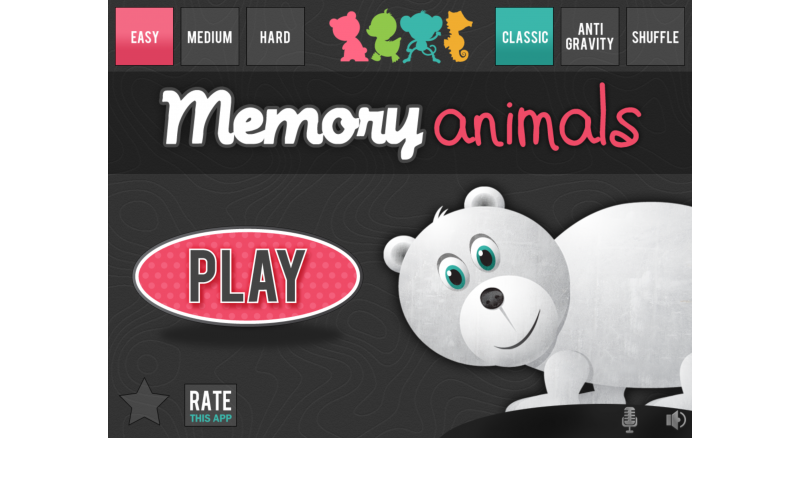 The cute, retro feel of the game makes it fun for adults to play to as a brain and memory booster.